Bonjour! I now seem to be in France. Strangely for a nervous traveller, I seem to have racked up five countries in three weeks. I’m losing all sense of what langue I’m meant to be speaking. On the plus side, given that I hate packing almost as much as I hate flying, it turns out to be much easier if you just go from place to place without stopping. Got back from the Bahamas with half a day to spare before leaving for Cardiff; I simply removed three bikinis from my suitcase, squashed in three jumpers and I was done. Back from Cardiff with 24 hours before taking the Eurostar, I added three pairs of clean socks, one pint of drinkable milk, and I was away. Here’s an interesting note, though: during that 24 hour period in London, I got locked in. Locked into my own home. The front door jammed and I had to call a locksmith to let me out. Do you think that’s the universe telling me I’ve been travelling too much? Anyway, here I am on the eve of the Deauville EPT, my second favourite location on the European poker tour - after London, of course. Apart from the charm of this retro 1920s seaside resort, it’s meant to be the softest field of the whole EPT, although that’s never been any use to me. I’ve never made it past day one here. I’m Doomed Of Deauville. But I come anyway. I like it, and you can get here by train. 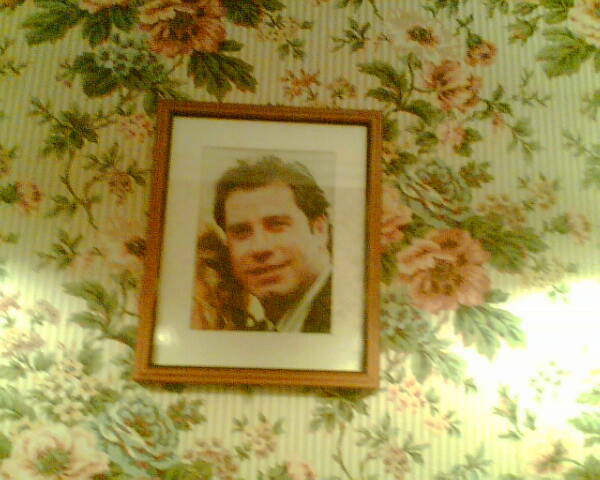 Regular blog readers may remember that last year I stayed in a room with an eerie picture of John Travolta on the wall. You can read that tale here - and indeed you can look at the lovely picture itself, here. This year I’m staying in a different hotel. Not a different room, a whole different hotel. Just to be on the safe side. Good luck to you Vicky!! Just clicked on the Travolta photo link/tale. Yes it’s creepy, I think it’s the wallpaper that does it. Hope you’re enjoying nice modern, maybe bright yellow walls (my favourite). Vicky, if you get a chance, pop into La Sorbetiere, a lovely restaurant which, when I was there, staying at Le Hotel Du Golf, no photos of film stars on the bedroom walls, was owned by a chap called Philippe Borel. They served great food and were so friendly I thought I’d been dropped into the French version of Ireland! Three cheers for the Normans! Hip hip….hip hip…hip hip…! The same thing happened to me recently! I was trying to leave the building i live in but the door handle broke so i was trapped inside. And this was about 2 hours before i was due to sit an exam. Yes - why does milk taste so God-awful there? What do they do? - Tread in the stuff? Squirt tubes of garlic paste into it? And don’t get me started on Cravendale in this country. That tastes like it’s come out of the cow’s bottom, not its udder. Since you’ve brought up the subject of Only Connect, albeit somewhat obliquely, I feel justified in asking a few questions that have been tugging at my mind since watching the last episode. Do you ever start to mentally cheer for one team? Did you receive a free subscription for all of the screen time devoted to “Hello” magazine? And can you let us know who’s going to win the next few episodes? I could probably make some money dropping a few well-placed bets around the department. I do sometimes root for a team - there are teams I can’t help falling in love with - but I like them all really. I’m happy whoever wins, and I’m CERTAINLY not going to reveal any future results! I hope there is a team like the Rugby Boys, I worry now that if a team like that is not there I just have to watch for the hope I get one answer right. Really getting into OC now, Victoria. Can see why the audience figures are building. You know what, you can do funny which has to be a bonus. And finally the questions are not always way beyond me. Nod to your question master. Thought the latest, ‘Hello magazine’ episode was your best so far. My hope is that you will get very very slightly more snarky with the contestants by degrees and the questions will continue to hunt for that very entertaining line between highbrow and slap-your-head-I-really-should-have-known-that. The show is distinctive, Congrat’s and best wishes. I believe a clown known as Eamon Dunphy has a holiday home in Deauville. Avoid at all costs! i don’t need British citizenship, being a long-time visitor and holding Resident status many years now (although sans flat); however, given my advanced age, demise might preclude/precede divorce. would like to return to tahiti for a time, be nice to have companion. happy to exchange books. www.torriano.org and most recent blogposts @ www.omoopart5.blogspot.com. Nothing from Hello! yet? And what about the position on the board of Channel 5? I’ve never heard a casino being spoken about in such affectionate terms (the vic), am I missing something? As far as I knew casinos were transitory places where the cold desire for money rules. I understand poker is partially a skill game, but attached to every poker site there is a “real casino”, the kind that crushes all sentiment. Surely your keenness for ‘the vic’ has got nothing to do with you being the new poster girl for online gambling in general has it? I dare you to publish that on your blog! Why wouldn’t that be published on the blog? It’s a perfectly valid question. But I think you’ve got a bit confused about a few things. First, the Vic has nothing to do with online gambling, it’s a brick-and-mortar casino. I’m affectionate about it because I’ve been playing there for years and I like the other people there, players and staff. Poker is not played against the house; they rent tables to us, where we play against each other. I’m affectionate about it like someone might be affectionate about a snooker hall where they’ve been playing against old mates since they were a teenager. I suppose it’s a transitory place in a way, but I’m playing there against many people who have been there for years, like me, people who I like and think are funny, many of whom I respect and trust - and if I don’t know people, I get to know them pretty quickly - it isn’t anonymous at all. The roulette downstairs may be a different thing, but I’m talking about poker. Second, it is not true to say that every poker site (I assume you now mean online) has a “real casino” attached. Some do, some don’t. Third, I am definitely not a poster girl for online gambling in general. I have written and spoken publicly and often about how dangerous I think online roulette or blackjack or bingo can be. I’m sure I could have made money from endorsing them, but I haven’t and wouldn’t. 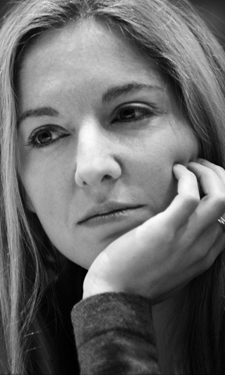 I am sponsored to play poker by PokerStars.com, a site I am happy to be associated with. They have no online casino attached. Like the Vic (but in virtual terms) they simply provide tables where members of the public can play poker against each other, and that’s fine with me. Just dropping a note to say how refreshing it is to read your book and not have to take in strategy, pot odds and the author telling me how to play. It just reflects everybody’s thoughts on home games, just you’re a bit bloody better and playing with a few grand to our 20 quid. All about the money, nothing to do with the money, too bloody right. many thanks. First time reader and writer. Just finished your book. (The poker one) . I did notice you particularly came alive when writing in the small chapters on the cards you were dealt in the final. It was fascinating the way you analysed each hand particularly against Emad. This was the real you. I play a little bit of live poker, (only tournies as i’m too big a girls blouse to play cash games), at the local Aspers at Swansea. Until now i’ve tended to play my own cards and the community cards but i intend to think a little bit more about my opponents now, so thanks for that. You mentioned Anthony Holdens new book, any news when its coming out as I loved Big Deal.